Goldfish are one of the most popular freshwater aquarium fish in the world. One way that many goldfish owners choose to lively up their tank is through the use of live and fake plants. In this guide we share our favorite goldfish plants (both live and fake) and a few care notes on how to keep them. 4 Live vs Fake Plants: Which are Better? Because goldfish are so destructive and always hungry for some nice fresh greenery, there’s two approaches you can take to the concept of live plants in your goldfish tank. One is that you choose one of the few plants that are (mostly) goldfish-proof. There aren’t many, but there are a few species that have sturdy, unappetizing leaves that aren’t very attractive to the average goldfish. Your second option is that you work around the ‘snacking problem’ and supply your goldfish with some variation in their diet by growing plants that are so quick to multiply they can handle being nibbled at. Although temperature shouldn’t usually be too much of an issue, you should give it a little thought if you keep your goldfish tank at a low temp. Unheated set-ups at room temperature shouldn’t be too much of an issue, but below 68 °F some tropical plants might end up struggling. Go for plants that can handle lower temperatures if this is the case. 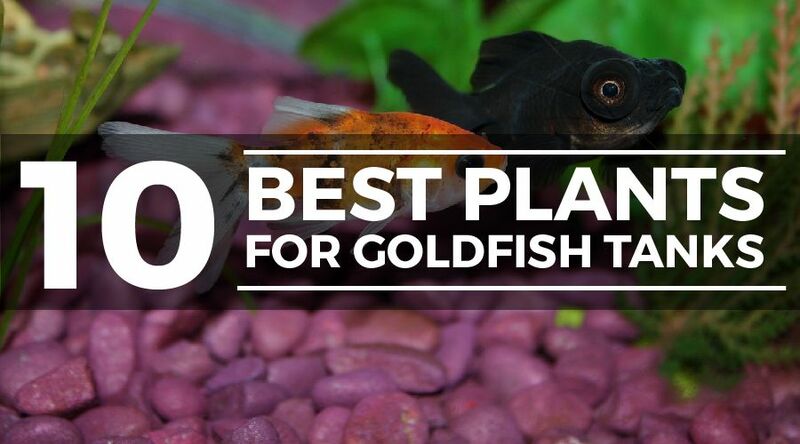 Placement can be of importance when you’re trying to select plants for your goldfish tank because whatever is grown in the substrate might be subject to constant uprooting. This especially applies to new plants that don’t have established root systems yet: it can get quite annoying to see them floating at the surface every single morning after you replanted them the previous evening! If you’re worried your goldfish will uproot plants, or if you have a bare-bottom style aquarium without substrate, you’ll have to find plants that you can get creative with. Some grow better in pots than others, and some species don’t actually need substrate at all. They just need rock or driftwood to grow on, which is very convenient as goldfish won’t be able to disturb them no matter how hard they try. Still a little lost after the previous paragraph? No worries, we’ve compiled a list of 10 aquarium plants that either fall into the category of ‘goldfish proof’ or ‘goldfish food’. We’ll be honest here and admit that the success rate is not always 100%: some goldfish are just too keen on eating any greenery they see. That being said, we’ve tried quite a few of these ourselves and didn’t experience any issues! 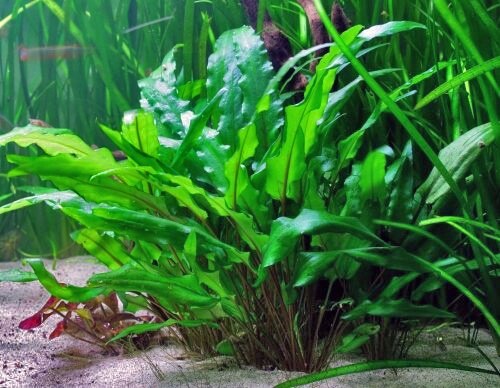 If you’ve read a few of the other plant-related articles on Build Your Aquarium, you might have noticed that we just love Java fern for its hardiness and ability to thrive in low light environments. We also love Java fern for goldfish tanks, because goldies absolutely do not seem to appreciate its hard leaves. It has been theorized they just don’t taste good, and the texture probably doesn’t help either. Java fern can’t be grown in the substrate but instead needs to be anchored to porous rock or driftwood to grow. This comes in handy if you keep your goldfish tank bare-bottom: no substrate needed. Another low-maintenance plant that features sturdy leaves and can be grown on rock or driftwood is Anubias. This is probably the #1 favorite plant for most goldfish keepers, as it seems to be left alone almost entirely and has no problem being kept in an aquarium that’s not focused on growing plants. 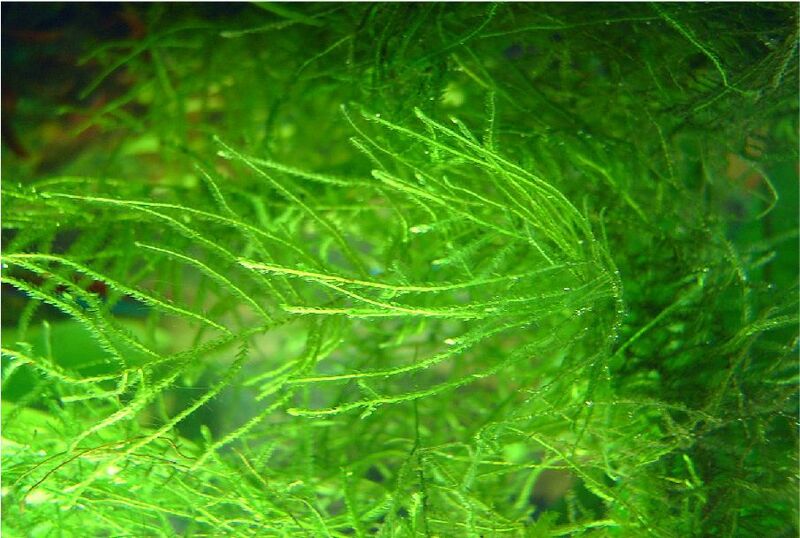 It’s a low-light species that requires almost zero maintenance and will be happy as long as there is no excessive algae growing on its leaves (which seem to be vulnerable to the green stuff, unfortunately). Contrary to Java fern and Anubias, Cryptocoryne wendtii (usually just referred to as ‘Crypt’) needs substrate to grow. This makes it a slightly riskier choice as goldfish do love digging around and uprooting plants. Still, its leaves usually seem to be left alone so it’s a pretty good choice for your goldfish tank. 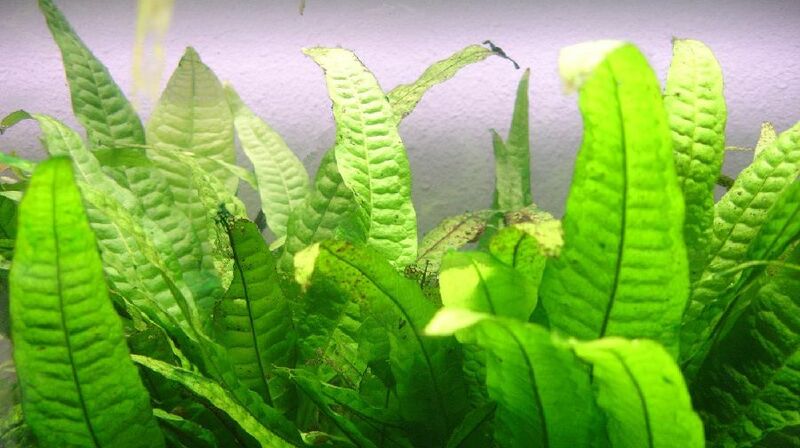 Like most of the other plants on this list, Cryptocoryne is low-maintenance and can be grown by beginners. It’ll stay short and compact under high light and form tall forests in lower light conditions. Looking for something large that will really add a lot of green to your goldfish tank at once? 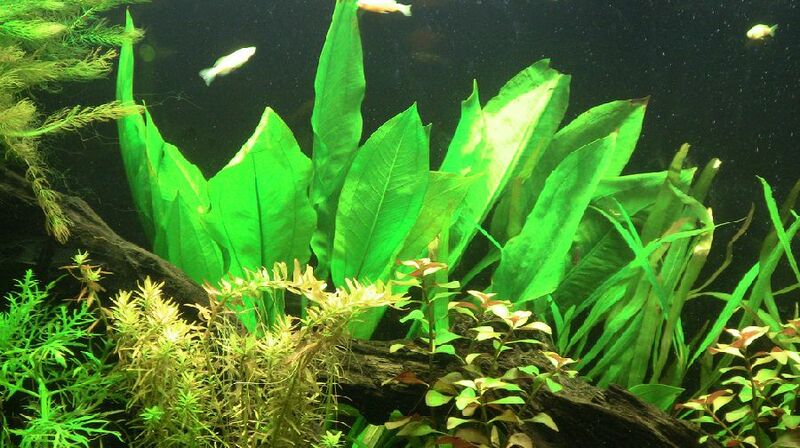 Amazon sword is appreciated by aquarists for its large, tall leaves. 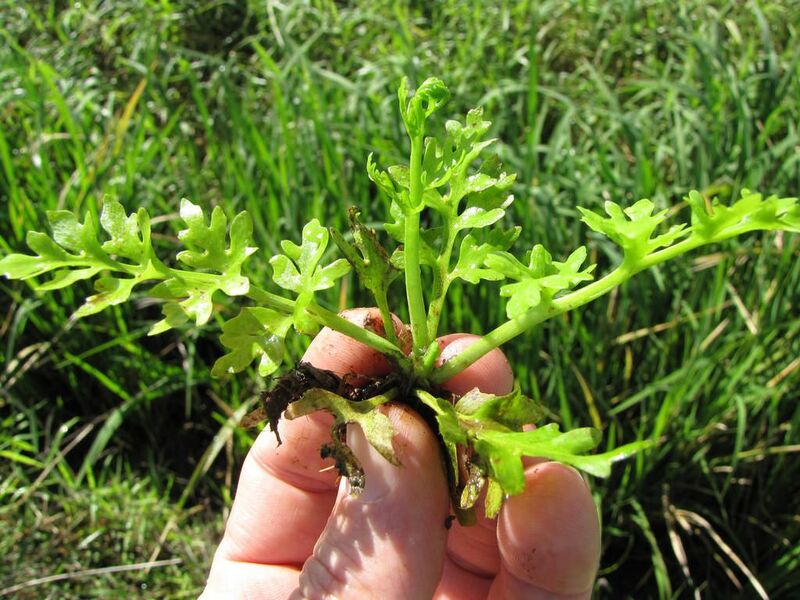 Additionally, it’s a very quick grower that spreads quickly through runners and forms a large root system that won’t easily be disturbed by a hungry goldfish. Keep in mind that Amazon sword leaves seem to be found tastier than those of the previously mentioned plants. This shouldn’t pose too much of an issue, though, because the plant grows quickly enough to offset any damage. The narrow-leaved Crinum calamistratum is commonly referred to as onion plant because like an onion, it consists of a bulb that produces foliage. An unusual looking plant, and one that happens to work well in goldfish tanks because the crinkly leaves are hard and difficult to damage. You can grow your onion plant in the substrate or, as some goldfish keepers find more convenient, in a pot or vase. Do keep in mind that this species grows relatively slowly and appreciates plenty of light as well as added Co2 if you can offer it. 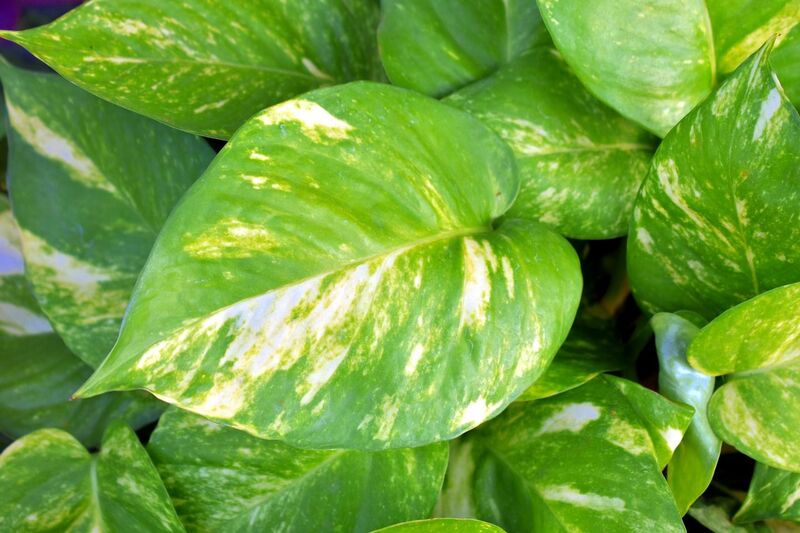 As you might know if you’re a houseplant enthousiast, Pothos is a bit of an odd duck on this list. It’s not an aquarium plant and won’t survive underwater. So how do you use a terrestrial plant in your aquarium? It’s actually quite easy. You can hang individual vines from the tank so that the bottom part is underwater. You’ll quickly start to notice roots appearing, which means the plant can benefit from the nutrients in the aquarium water and will soon begin producing foliage. 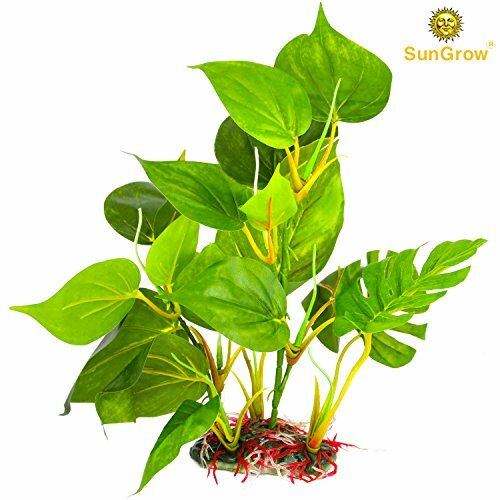 Alternatively, you can grow Pothos in some types of filters or you could even use an external breeder box that hooks up to an air pump so water flows through it. Although it is definitely not immune to nibbling goldfish and will likely be the subject of relentless nipping, beginner-proof Java moss is still an option for your goldfish tank if used correctly. If you want to grow this plant you can try leaving it free floating and hope its quick growth is enough to offset goldfish attacks. For a slightly safer option you can also attach it to rock or driftwood using fishing line or mesh, which makes it harder for the fish to eat it. 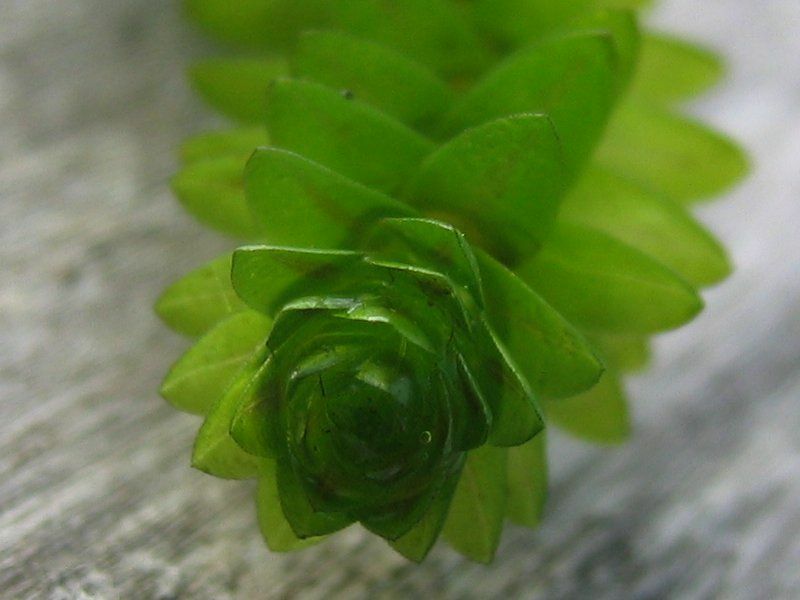 Another plant that falls in the category of ‘goldfish food’ rather than ‘goldfish proof’ is the decorative water sprite. This fern has soft, lacy leaves that will likely not be left alone, but luckily it’s known to be an extremely quick grower under the right circumstances. To ensure your water sprite grows fast, be sure to provide plenty of light. Added Co2 is also a good idea but not an absolute necessity. The wastes produced by your goldfish will do the rest, allowing the plant to constantly produce large amounts of new foliage. Most aquarists shudder at the idea of having duckweed in their tanks, let alone adding it voluntarily. This floater is extremely fast growing and can quickly take over an aquarium: even a single specimen can be enough to result in a green water surface within a few weeks. For goldfish keepers, such a quick growing plant is ideal. Duckweed leaves are very soft and much appreciated by hungry goldfish as a snack, so what some goldfish keepers do is grow it in a separate tank just to be able to feed it to their fish. You can try it in your main aquarium as well, but be warned that some goldfish will make it disappear even faster than it can grow. 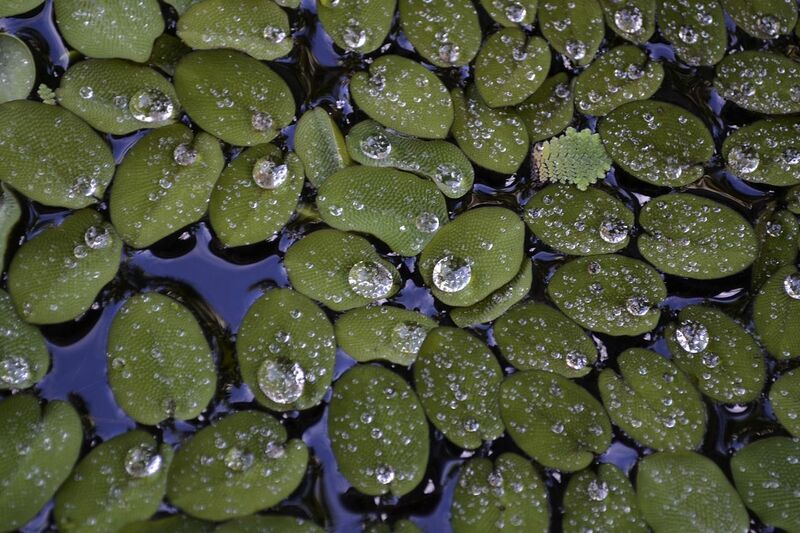 Anacharis is also sometimes referred to as waterweed, a name it has earned through its fast growth. 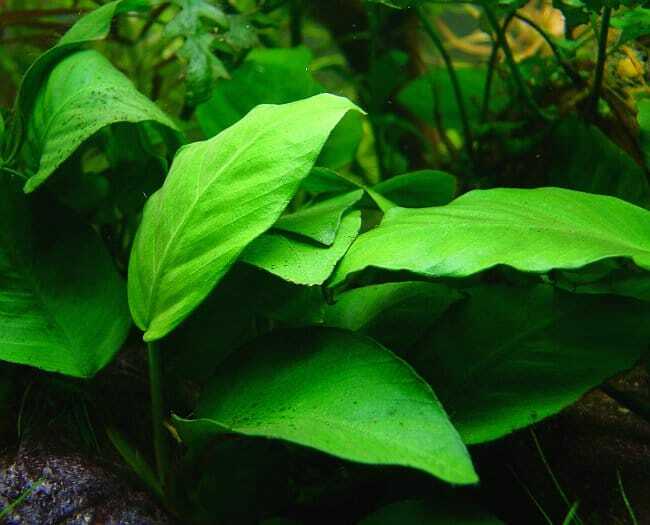 This coldwater stem plant has soft leaves that goldfish will love to eat. Although it will usually be demolished too quickly to grow in your actual goldfish tank you can always try setting up a little plant tub to maintain a constant supply of waterweed in. Simply provide plenty of light and the plant will take care of the rest. If your head is spinning even more than before (don’t worry, growing plants can be hard), you can consider looking into fake plants or even a combination of real and fake. Fake aquarium plants have progressed far beyond the tacky plastic stems that we used to see and can look very realistic. They work well if you’re looking to add a pop of green to your goldfish tank without having to consider whether the plant will fall prey to your fish. When selecting fake plants, be sure to check all products for sharp edges. Hard plastic with a pointy edge can damage clumsy fancies’ long flowy tails or even their eyes. Instead, look for fake plants that are made of a soft plastic or silk plants. Available in multiple sizes, this large silk plant will add great color to any fish tank. If you’re looking for an artificial plant that really stands out, look no further than this beauty by Begondis. Being made of silk, you won’t ever have to worry about this plant EVER harming or tearing your goldfish’s fins. 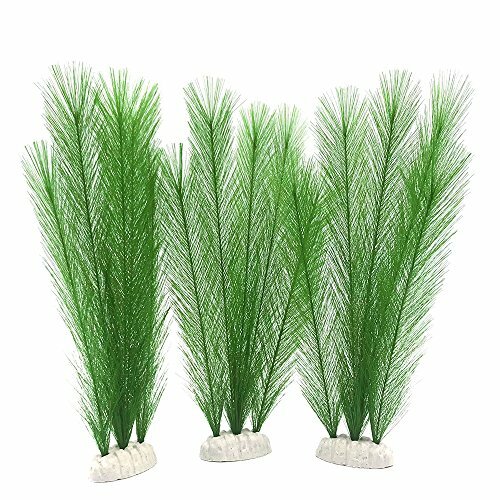 In addition, this plant’s extra large size and realistic appearance means it will stand out in any aquarium. This artificial plant made by Begondis is truly a no-brainer for anyone who wants to beauty of a planted aquarium, but not the upkeep of live plants. If you're looking for artificial aquarium plants with a realistic touch, SunGrow is your brand. Their line of fake plants brings beauty and color to any aquarium. SunGrow really did an amazing job with their line of artificial aquarium plants. Available in multiple versions modeled after real species (many of which we talked about above), SunGrow plants offer a great dose of color and realism to any aquarium. Live vs Fake Plants: Which are Better? While fake plants are a very convenient option, live plants also offer considerable benefits. A good amount of live plants can help keep your aquarium stable and assist in dealing with the large amount of waste goldfish produce. Additionally, as we’ve discussed, some aquatic plants make a great addition to the diet of your fish. This being said, if you really want to go for the jungle look and keep your goldfish happy, a combination of all the plant types mentioned in this article might be ideal. Combine real and fake plants for the ultimate green look (go for Anubias and Java fern if you’re worried about uprooting) and make sure to use both ‘goldfish proof’ and ‘goldfish food’ plants. 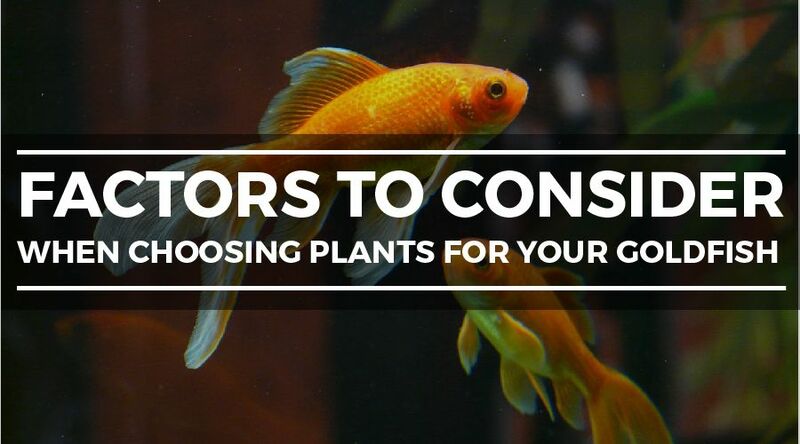 While selecting the right plants for a goldfish aquarium can seem like a daunting task, we hope this article has made things at least a little easier. If anything, don’t give up too easily: anyone can grow plants, even in a tank that contains the aquatic equivalents of lawnmowers. You just have to choose wisely and be a little more creative.